Opal WordPress is so happy to introduce you that we decide to give a small gift for all our beloved customers that [Free Download] Pi and Eightpm WooCommerce WordPress Theme. You can go to our live site http://www.wpopal.com/ to find these themes and download free. Hoping this will be a big encourage for you to build and develop a perfect website for your online business. 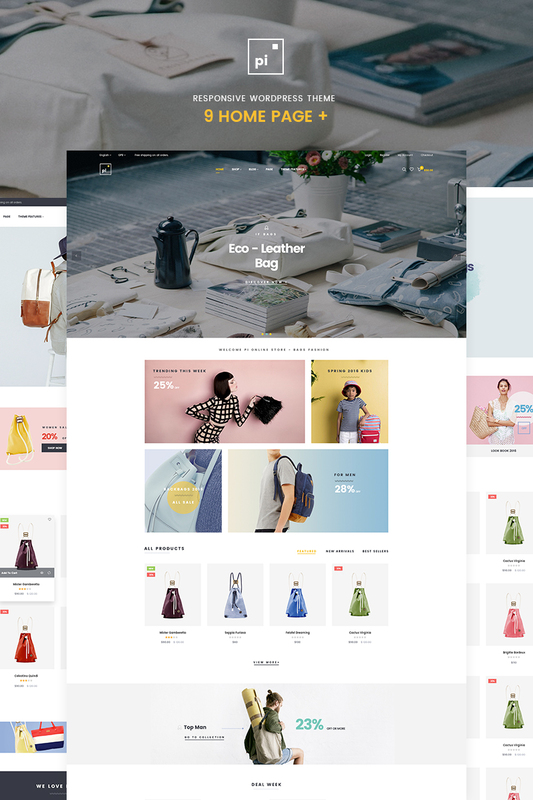 Pi and Eightpm are Beautiful Fashion WooCommerce WordPress Themes. They are perfect, clean and elegant design so suitable for store owners to sell anything they want such as clothing, fashion, high fashion, accessories, kids, jewelries, bags, backpacks, handbag, big bags, shoes or showcase bags portfolio, lookbook, collection. It is completely Fully Responsive and packed with all main features of an ecommerce online store. What’s more! They are outstanding with multiple unique demos, Fully Responsive, Optimized for Speed, Search Engine Optimization, Mobile Optimized, Highly Conversion Rate Optimization and Unlimited Customize, Unlimited color and typography options. Please take time and experience our great themes! Download 2 themes without wasting any fees! Why we don’t try! How to build a Design website with WordPress? If you haven’t built a website yet, you need to get a domain name, a web host (GoDaddy preferably) and install WordPress on your web host first. We have created a step by step guide on how to start a WordPress blog, you could go through it. After you install WordPress, install one of our great themes on Themeforest to make your website perfectly.